Published on 19. 01. 2017 in comics and cartooning and hype & linkage. Closed Tags: Chris Ware, Copenhagen Comics, Jean Braithwaite, University of Mississippi Press. The latest volume in University of Mississippi Press’ series compiling interviews with individual cartoonists features Chris Ware. It is edited by Jean Braithwaite, characteristically beautifully covered by Ware himself, and includes a compelling selection of very different interviews spanning the cartoonist’s career — including rarely-seen ones made very early on in his career as well as a couple of brand new ones with Ware and one with his wife Marnie. 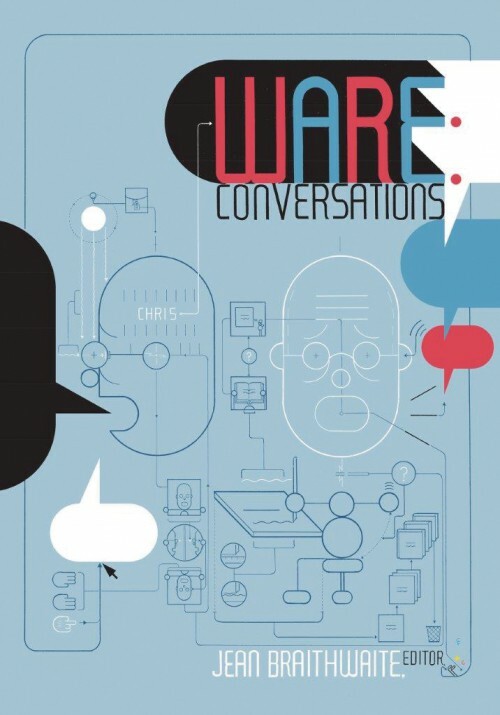 The book also contains my 2010 conversation (see here and here) with Ware from the Copenhagen comics festival Komiks.dk (which has since changed its name to Copenhagen Comics and whose most recent edition is coming up next month). I am proud in general to be in this series for the second time (the first was the Chester Brown volume; see also here) and in this particular, skilfully edited volume in particular. Do check it out.